The secrets of the clow are all a mystery for anyone that didn’t grow up in the nineties (or naughties) watching Cardcaptors on TV or imported the original uncut release from North America; but that hasn’t stopped Manga Entertainment UK from releasing Cardcaptor Sakura: Clear Card, which is a continuation of the original Japanese anime series Cardcaptor Sakura, on Blu-Ray and DVD within the UK. With this being said what can one expect from the Blu-Ray release of Cardcaptor Sakura: Clear Card – Part 1? Well let’s take a closer look and find out. As Sakura settles into a normal routine, she prepares to face her newest challenge—junior high! 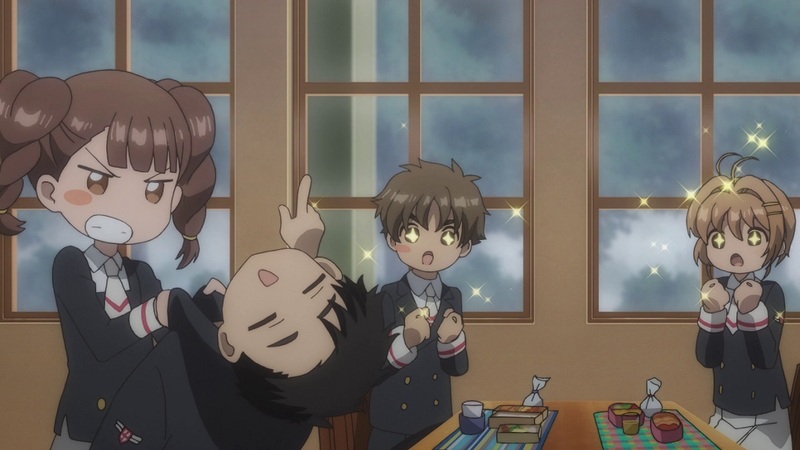 While her classes are challenging, things start looking up when Syaoran reappears and says he’ll be staying for good. 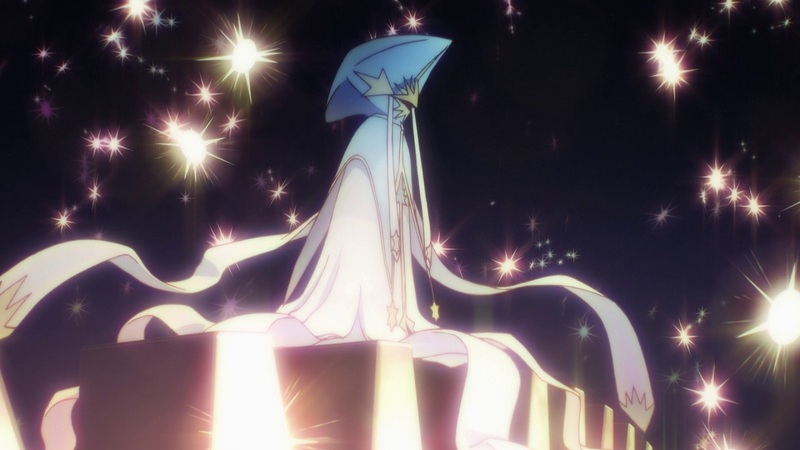 But when she has a strange dream about a mysterious figure and wakes to find her Clow Cards completely clear, she must return to her duty as Cardcaptor. Ready to take on these cards with a new key and new wand, Sakura will face this mystery with the help of her friends—and seriously cute outfits! 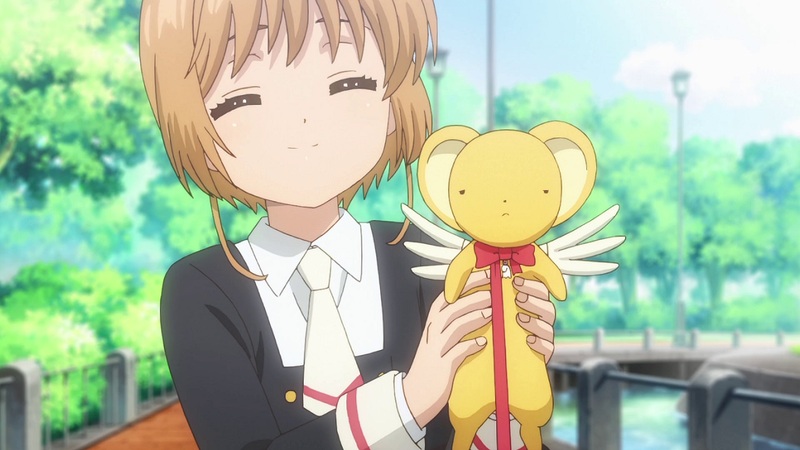 Cardcaptor Sakura: Clear Card acts as a direct continuation of the 1998 anime series Cardcaptor Sakura and as such the experience of this sequel series can vary depending on your knowledge and understanding of the original series. For me Cardcaptor Sakura: Clear Card provided a sense of nostalgia and familiarity of the original series but presented in a new animation style; however for those unaware of the events of Cardcaptor Sakura then this sequel series will provide some confusion in a charming and colourful setting. Confused? Well so you should [Spoilers ahead]. Cardcaptor Sakura: Clear Card begins several months or so after the events of Cardcaptor Sakura; these events saw Sakura become a cardcaptor and tasked with the retrieval of magical clow cards she let escape after opening a book that contained them. As part of this journey Sakura overcomes difficult situations and found herself a rival in the form of Syaoran; another Cardcaptor from Hong Kong. These two battle amongst each other in an attempt to capture all the cards and eventually this rivalry turned to love after Sakura was deemed the true successor of Clow Reed’s Clow Cards. Upon successful collection of the Clow Cards, and passing the test that allowed Sakura to become the true heir to the Clow Cards, Sakura then had to transform the Cards into her own magic; thus the Sakura Cards were born. 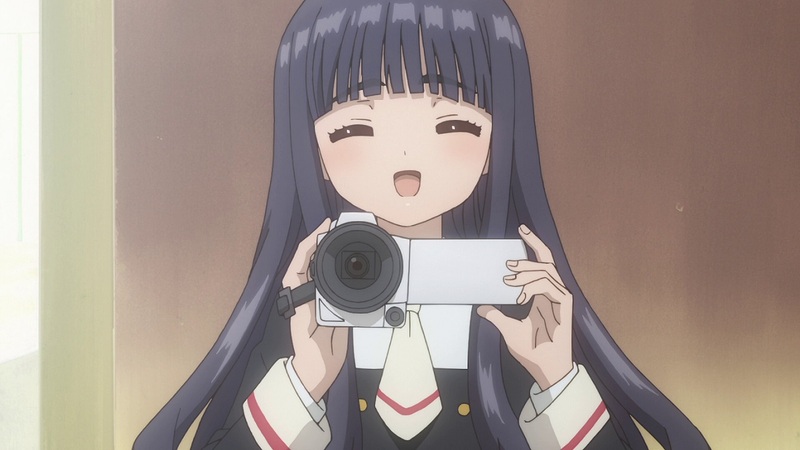 With help from Sakura’s best friend Tomoyo, as well as Syaoran and his cousin Meiling the group successfully change all Clow Cards into Sakura Cards and during which Sakura and Syaoran’s feelings develop even further. This developing romance soon sees Sakura and Syaoran confess each other’s feelings for one another before Syaoran returned home to Hong Kong… and thus Cardcaptor Sakura came to its conclusion. 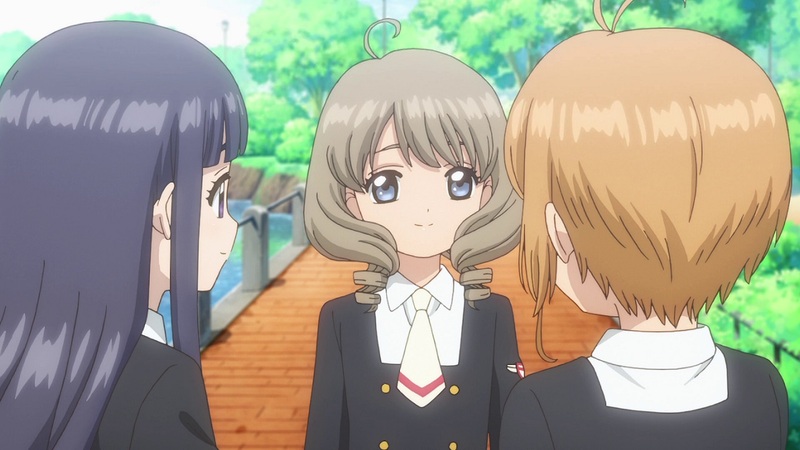 History lesson over (although none of what I mentioned was discussed in Cardcaptor Sakura: Clear Card) Cardcaptor Sakura: Clear Card beings with Sakura starting life as a Junior-High school student along with her best friend Tomoyo and everything seems to be normal. This normality changes when Syaoran returns from Hong Kong but even more so when Sakura finds that all of her cards have become Clear. It’s unknown what caused this abnormality but a masked figure in Sakura’s dreams (which makes a frequent appearance throughout the eleven episodes of this set) is somehow involved. It’s at this point where Cardcaptor Sakura: Clear Card picks-up the momentum and returns to the origins of its original ‘Cardcaptor’ experience with each episode focusing on a new card and Sakura (along with Syaoran and Tomoyo) overcoming obstacles in order to regain control. Just like the original Cardcaptor Sakura series each episode focuses on a single card and in some instances the series reminiscences about events that happened in the past. For instance when Sakura captures a card at the Aquarium Sakura often thinks about the time she captured the Watery card. It’s these references which make watching the original Cardcaptor Sakura (in its original uncut format) a requirement in order to get the best out of this continuation story. Unfortunately it’s not all good news; sure enough Cardcaptor Sakura: Clear Card retains the animation style, character interaction and comical traits of the original BUT it lacks the impact and unique aspects of the original. For instance 60% of each episode focuses on Sakura interacting at school or eating (and making) food of some kind. The remaining 40% focuses on capturing the card; but unlike the original series these cards mostly appear in front of Sakura with no real effort. There is no sense of threat, danger or creativity that was found in the original series. What should be a story about capturing cards has dwindled into a ‘moe’ focused storyline with a twist of romance and even the appearance of a transfer student does nothing to spark that plot twist or impending danger that the original series once had. This isn’t the Cardcaptor Sakura anime we once knew and enjoyed, although it does offer a similar experience; however the events of these eleven episodes could have been a lot better. That being said this is a true continuation to the original story and we will finally get to see the story of Sakura and Syaoran develop into a true romance. This first instalment of Cardcaptor Sakura: Clear Card features a small selection of supplemtnary content that is split across both Blu-Ray discs. In this case the first disc features the Prologue animation (i.e. Episode 0) while the second disc features the usual selection of content in the form of an English cast commentary and textless songs. The Prologue episode, which is a full-length episode, retells the events of how Sakura and Syaoran confessed their feelings to each other. It’s a well rounded episode that focuses entirely on Sakura and Syaoran’s emotions and helps ease viewers into the main storyline of Cardcaptor Sakura: Clear Card but unfortunately it is met with its own problems. The main problem is that Cardcaptor Sakura: Clear Card references the events from the original series as opposed to this prologue episode and as such the differences are highly noticeable. For instance Sakura and Syaoran exchange bears as farewell gifts but while this took place in an airport (in the original series) it takes place at a bus stop in this prologue animation. As Cardcaptor Sakura: Clear Card refers to the original series it makes this Prologue animation rather a pointless viewing experience. Although key information is not represented correctly in this prologue episode it does a good job of representing the key characters and the emotions that they bring into Clear Card and acts as a nice introductory start to the main series. 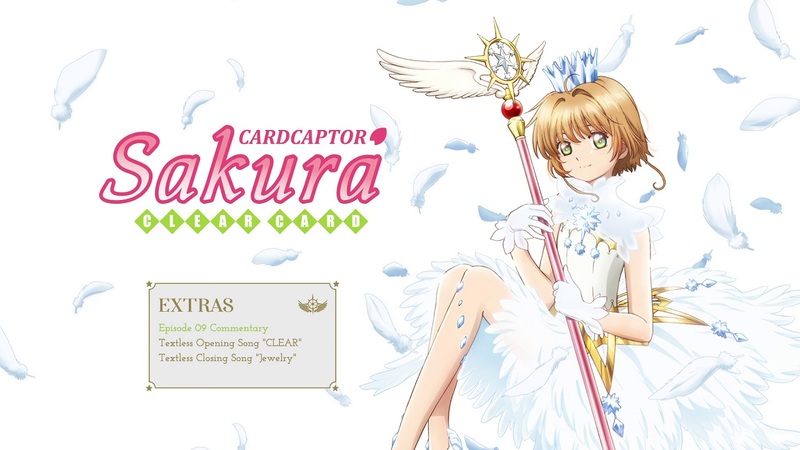 The remaining bonus features on this release include an English cast commentary for Episode 9 of Cardcaptor Sakura: Clear Card, of which sees notable voice actors provide their experiences and insights in the dubbing of the series, as well as textless opening and closing songs for Cardcaptor Sakura: Clear Card. A standard selection of supplementary content and is presented in an as expected format. 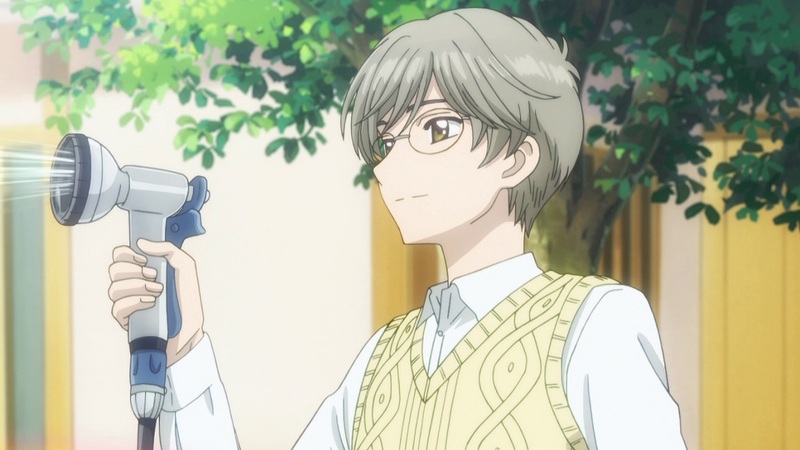 Cardcaptor Sakura: Clear Card acts a continuation to the original Cardcaptor Sakura series and as such picks-up shortly after where the original story left off. Sakura, Tomoyo and Syaoran may be older and attending a new school but the events that bond them together remain the same – even more so now that the cards have become Clear. 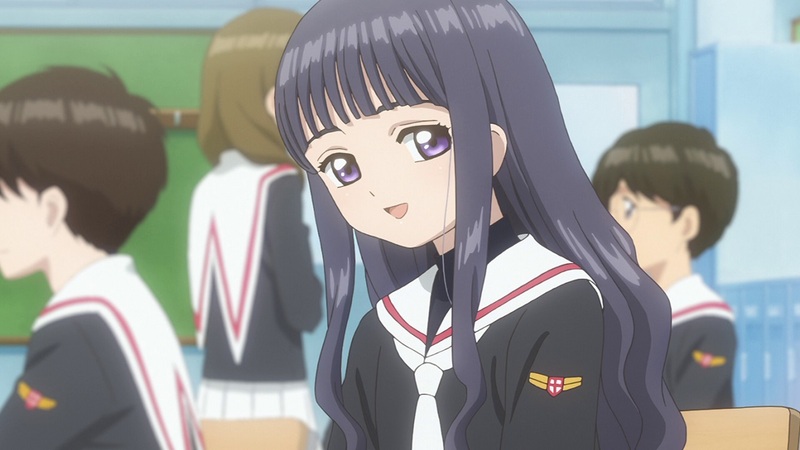 Each episode sees Sakura, Syaoran and Tomoyo engage in daily school antics until a card appears; of which is quickly captured with very little effort. It’s not until the half-way point of this set when a transfer student appears that things become interesting; but even then the focus is quickly overshadowed by food. It’s a nice start to rekindling an old anime for a new generation; but aside from the mysterious dreams it needs to become more engaging with the threats or the developing romance between the two characters. Episodic events aside Cardcaptor Sakura: Clear Card is presented to the best of its ability in this High Definition Blu-Ray release of the series and that includes a English dub produced by FUNimation. As someone who grew up watching Cardcaptor Sakura in Japanese the English Dub is not something I care for; but it is a nice additiona. Naturally I experienced a few episodes but (from my personal perspective) only a handful of the characters suit the roles they have been cast; which is a shame as the cast features a strong vocal talent. On the flip-side the Japanese cast return to reprise their roles and despite twenty-years-or-so apart everything feels the same. 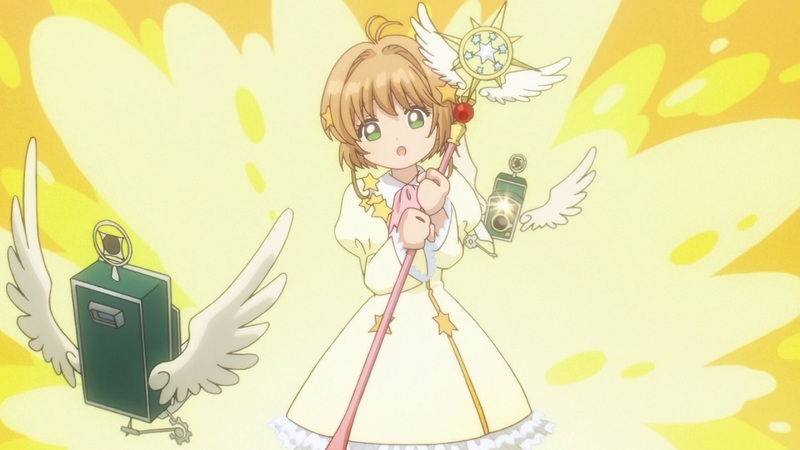 Cardcaptor Sakura: Clear Card retains the aesthetic and feel of the original Cardcaptor Sakura anime series; but while it retains the core values it miss the mark on the process of capturing the cards. It feels very simple and mundane but it does carry on and develop the romance between Syaoran and Sakura; which is of course a story core-fans have been wanting to see develop for a long time. 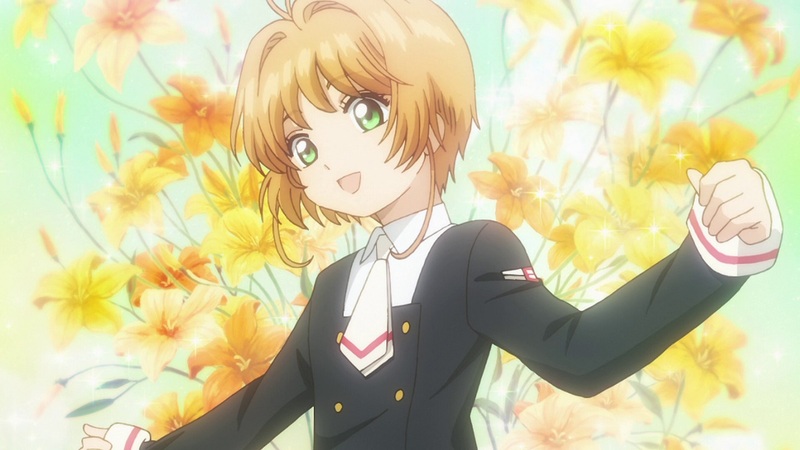 Cardcaptor Sakura: Clear Card may not appeal to newcomers (although it does have an approachable story) but it is one that mostly caters to the fans. 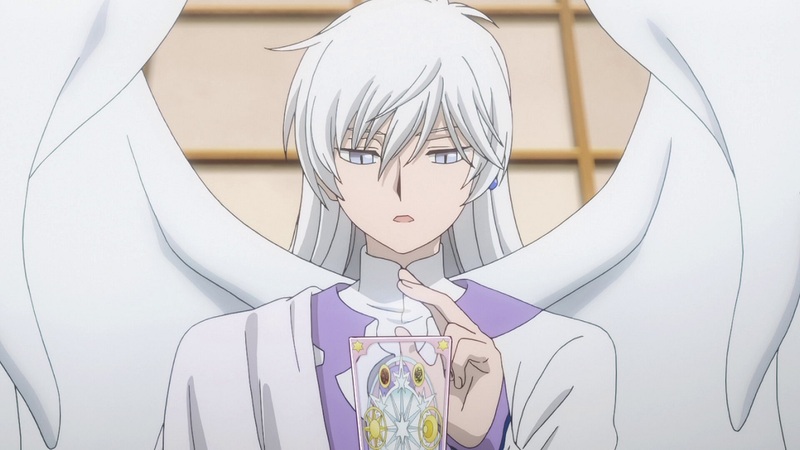 Cardcaptor Sakura: Clear Card – Part 1 will be available on Blu-Ray from the 11th February 2019 within the UK via Manga Entertainment UK.